Sri Guru Gita is a part of a larger text, the Skanda Purana, authored by the sage Vyasa. It describes a conversation between Lord Shiva and his wife, the Goddess Parvati, in which she asks him to teach her about the Guru.Lord Shiva answers her by describing the Guru principle, the proper ways of worshiping the Guru and the methods and benefits of repeating Sri Guru Gita. The chanting of Sri Guru Gita, along with other devotional practices of Guru bhakti Yoga, lie at the heart of the ancient Vedic tradition. His Holiness Sri Sri Sri Ganapati Sachchidananda Swamiji have compiled various teachings, practices, chants and scriptures, as well as other inspiring stories on Sri Guru Gita, to inspire you on your path toward spiritual liberation. It is also a time to remember Lord Dattatreya, regarded as God and the Guru of Gurus, who considered twenty-four Natural elements, creatures, humans and lifetime experiences as His Gurus, and learnt a number of lessons from all of them.The forbearance from earth, all pervasiveness from air, limitlessness of sky, rejuvenation from water, detachment from Pigeon, self-sacrifice from fruit-bearing trees,the changeless moon, the omnipresence of sun, mighty banyan tree, value of surrender from python, desire that leads to destruction from firefly, the biksha concept from honey, delusion by distraction from elephant, awareness of vulnerability from deer, wary of sense organs from fish, vairagya concept from the courtesan named Pingala, contentment from a child, one pointed concentration from archer, the powerful wind are some of the gurus that have provided flashes of intuition that guided Lord Dattatreya to become the guru of Gurus. On this Guru Purnima, it’s appropriate to remember the AdiGuru – Lord Dattatreya. Also let us remember Lord Shiva who imparted the significance and importance of Guru to Parvati Devi. He expounds the true meaning of the Guru, the power of the Guru’s grace, and how to serve guru selflessly. 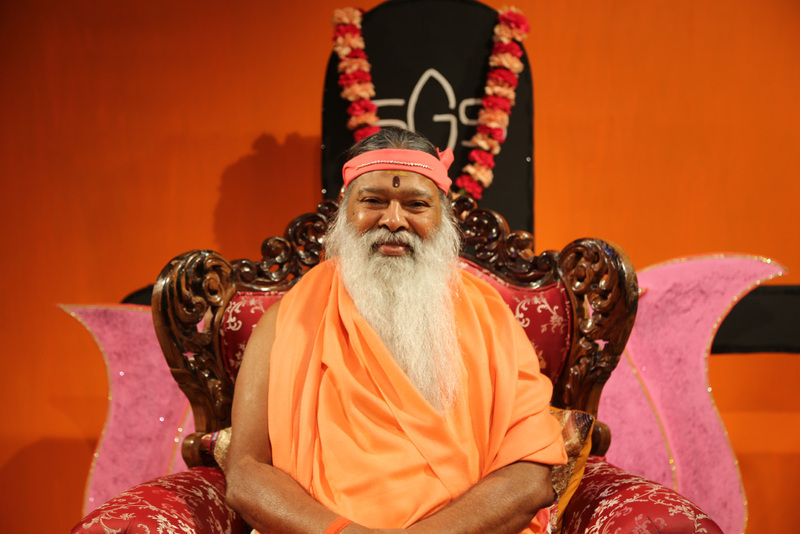 The powerful chanting of Guru Gita by Sri Swamiji has awakened the curiosity among thousands of listeners who have started to appreciate the relevance of Guru Tattva for the preservation of Guru-Shishya tradition and Guru-Disciple relationship, which have strengthened the faith causing revival of sanatana dharma. The central points mentioned include that guru dispels the ignorance; without guru’s initiation none attains Brahman; knowledge is worthless even though one studied all scriptures; one is protected by guru even when God gets angry; water becomes holy by washing guru’s feet; Shiva and Shakti live in Guru’s feet; even one letter becomes supreme to be repeated frequently; proper ways and methods of worshipping a Guru result in washing off the sins; benefits are accrued by worshipping a Guru; and one can get liberated form samsara.Also time to remember the Guru Parampara of Sri Swamiji through Lord Dattatreya, Sri Pada Vallabha, Narasimha Saraswathi, Jayalakshmi Mata, Sri Swamiji and Bala Swamiji. Let us pay our respects, regards, reverence and veneration to our Datta Parampara.